SBF, Building Construction Authority and Suncaged Consulting collaborate for the first time to present insights on Myanmar’s construction sector. Forty-five participants from 38 companies attended the first overseas market workshop on Myanmar’s construction sector between 14 and 19 May 2017 organised by the Singapore Business Federation (SBF) in collaboration with the Building Construction Authority and Suncaged Consulting Pte Ltd (SCC). “The trip was well organised and well thought out. We were able to meet and interact with government leaders and top executives from big corporations such as the Shwe Taung group and Keppel. 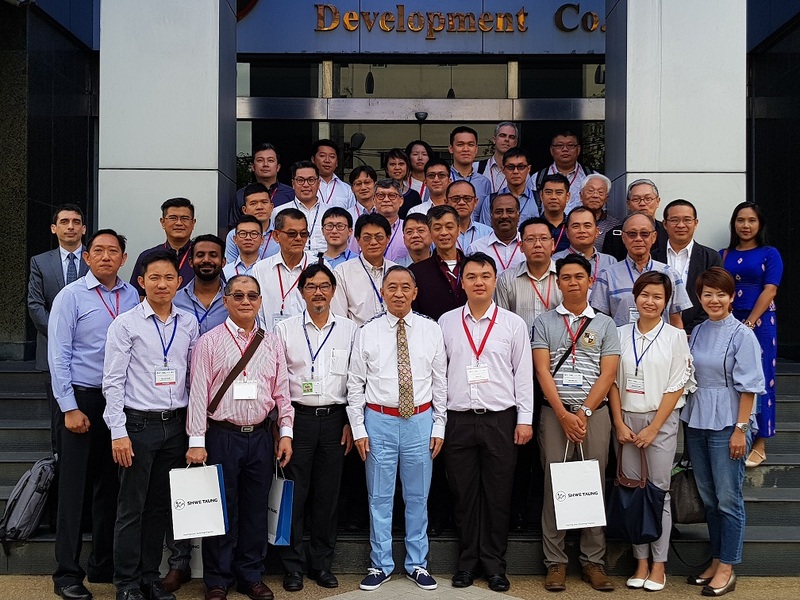 It was also a fantastic chance to make friends and learn from peers in the industry,” said Mr Chew Choon Yan, a participant from Framework Building Products Pte Ltd.
Over five days, the Singapore participants attended lectures delivered by the Myanmar Ministry of Construction, Directorate of Investment and Company Administration, Rajah & Tann, Surbana Jurong and Myanmar Constructors Entrepreneurs Association, an established industry association in Myanmar's construction sector with 1,650 member companies that facilitates visits from overseas delegations and reaches out to foreign investors. Other workshop highlights included visits to Thilawa Special Economic Zone and briefings by Shwe Taung Group and Keppel Land. 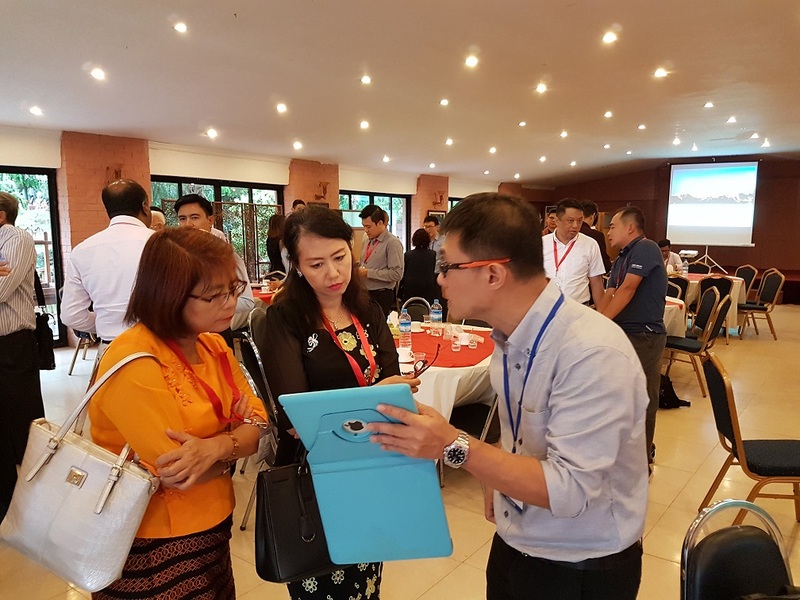 To complement the insights shared, networking sessions were also held with the Singapore Association of Myanmar to learn about their experiences. In response to feedback from participants of similar workshops, SBF collaborated with SCC to hold customised business matching sessions with Burmese businessmen. Myanmar’s construction and engineering sectors can progress at a much faster rate than its regional neighbours because it has British building standards and codes. In technical engineering design, for example, Myanmar and Singapore share the same codes and adhere to the same standards, meaning for it is easier for Myanmar to adapt to our working standard. This overseas market workshop to Myanmar was partially funded by the Local Enterprise and Association Development (LEAD) programme jointly managed by SPRING and International Enterprise (IE) Singapore. In addition, most participants successfully secured IE Singapore’s SkillsFuture Study Award for International Business, which aims to promote the development of business leaders capable of driving the overseas growth of Singapore-based companies. Since 2012, SBF has actively organised several major market development activities in Myanmar to help Singapore companies seize growth opportunities there. These include five business delegations to Myanmar, three International Business Fellowship–Executive Programmes and four major industry trade shows in Yangon. Through these initiatives, SBF has engaged over 600 companies keen to venture into the Myanmar market. To learn more, please contact Mr Teo Chi-Howe at . To learn more, please contact Ms Alaxys Liu at . To learn more, please contact Ms Sylvia Han at .